Brazilian Jiu-Jitsu (BJJ) is the single most effective martial art you can learn for self-defense. Brazilian Jiu-Jitsu is a martial art/combat sport/self-defense system that focuses on grappling and especially ground fighting. It teaches that a smaller, weaker person can successfully defend themselves against a bigger, stronger opponent by using leverage and proper technique (mostly by applying joint-locks and chokeholds) BJJ is trained for a variety of reasons. 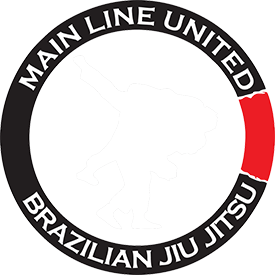 Some train for self-defense, some for sport, MMA fighting, or just a fun way to get into shape. Sparring (or rolling) is a big part of training; this ensures that the techniques you learn are applicable in a real world situation. 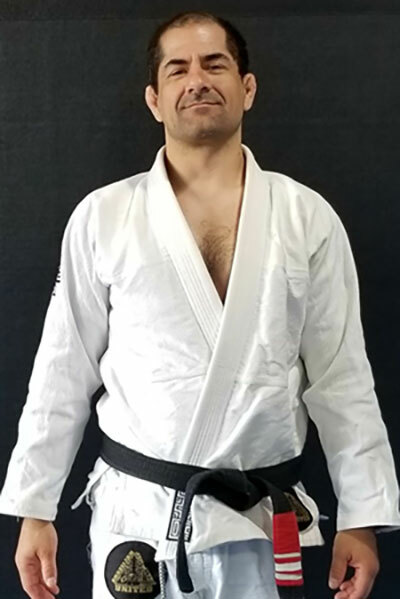 After graduating college, he found Brazilian Jiu-Jitsu while in law school in Boston, and was immediately hooked. He received his black belt from Jared Weiner in July of 2008. He is also a certified Girls on Guard instructor. 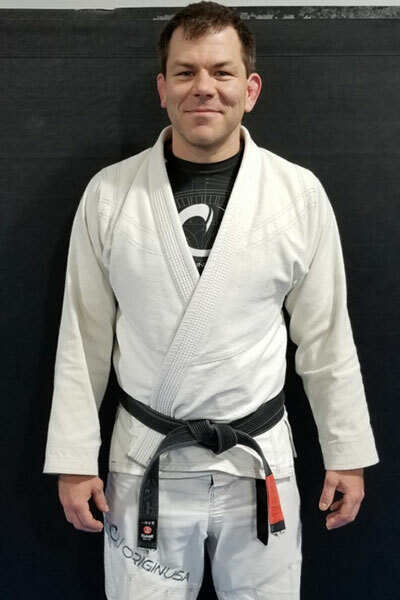 Jeff is a Brazilian Jiu Jitsu Black Belt under Steve Bowers and a Black Belt in Judo. 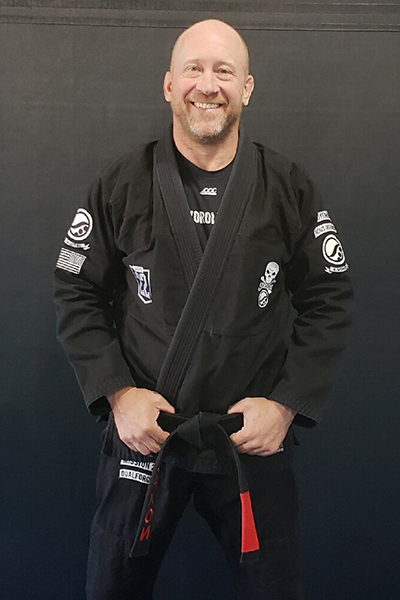 Jeff began his career in BJJ in 2003 and has been involved in teaching the art since 2007. Jeff had the opportunity to travel around the country as both a referee and competitor earlier in his career and now is focused on passing on his knowledge to others. Jeff works as an IT Manager and his wife and two boys all actively train. 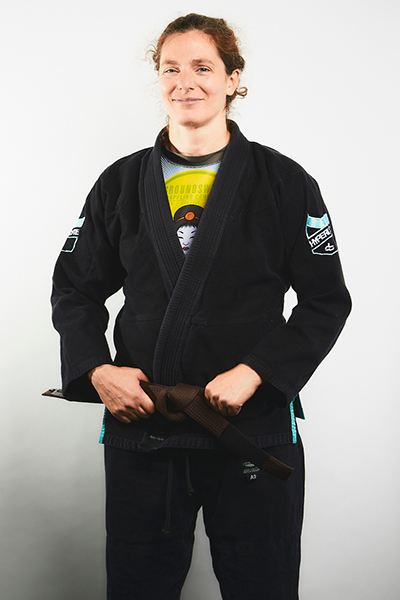 Ann began studying Brazilian Jiu-Jitsu in Santa Fe, NM in 1995. Graduate school, a Nursing career, and three kids later, she is still training. She is now a brown belt under Steve Bowers, sharing her love of Brazilian Jiu-Jitsu through the Women’s Fundamentals class. Annie is a purple belt under Steve Bowers. 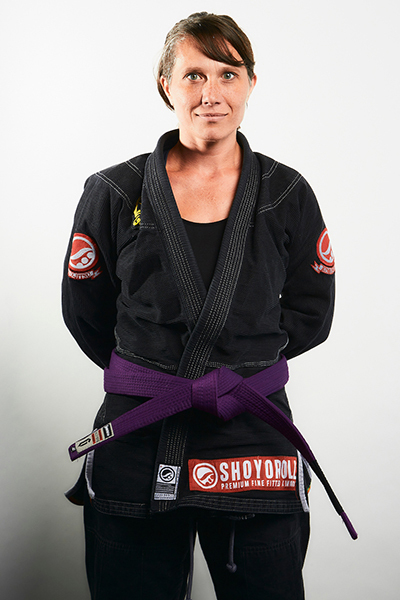 A former kindergarten teacher and mother of three, she uses those skills as Lead Instructor for the Kids’ BJJ program. She teaches Women’s’ Fundamentals as well as being certified as an instructor for both Girls on Guard Self Defense for Women, and Play It Safe Self Defense for children. She is manager of day to day operations at Main Line United Brazilian Jiu Jitsu. 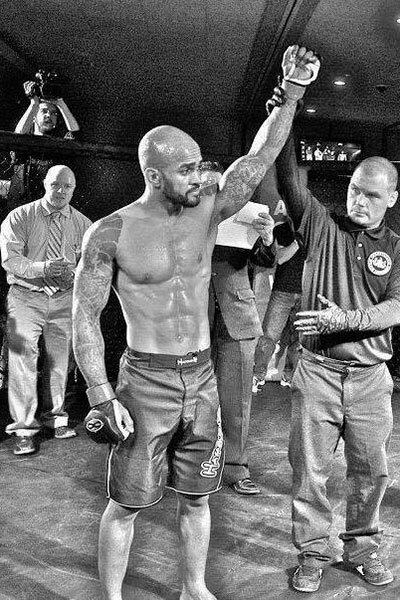 Hector is a professional MMA fighter with 15+ years experience in American Kickboxing, Muay Thai & Savate. He has 30 years of boxing experience and trained at Grays Ferry Boxing Club under Art Washington and Roland Marshall. Hector is also a Black Belt in Goshin Ryu JuJitsu Yudanshakai, a Red Glove in Savate and a Purple Belt in Brazilian Jiu-Jitsu. 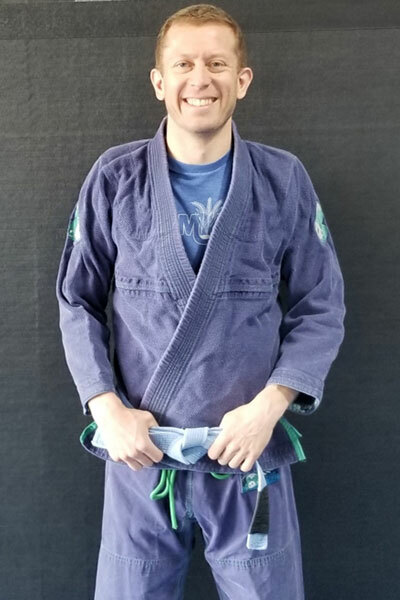 Having begun training in 2013 mainly to keep up with his daughter, Sean McGrew is proof that you are never too old or awkward to start BJJ. With a day job in education, Sean is particularly interested in the teaching and learning process. He leads the Pre Jitsu classes for our youngest students and helps out with the bigger kids. He currently holds a purple belt under Steve Bowers.